Christine Tilburg, program manager for the Gulf of Maine Council on the Marine Environment’s EcoSystem Indicator Partnership (ESIP), was presented with a Maine visionary award for her work with dozens of stakeholder, government, and academic groups in the US and Canada, which produced important results for ecosystem protection and restoration in the Gulf of Maine. She has overseen the development of an indicator reporting tool that provides stakeholders with the capacity to evaluate a large amount of environmentally relevant data to inform management decisions in the Gulf of Maine watershed-coastal ecosystem and cultivated a large pool of experts to assist in development and use of the data and the indicator reporting tool. Initially she led the effort to determine a primary set of tier 1 indicators for many important areas including: coastal development, contaminants, pathogens, eutrophication, aquatic habitat, fisheries and aquaculture, and climate change. Through this process, Tilburg has facilitated the completion of a number of educational fact sheets aimed at helping the engaged public and managers to understand the importance of environmental indicators in decision making. She has shown great creativity, tenaciousness, and leadership in working with a diverse group of people for the benefit of the Gulf of Maine environment. Carrie Kinne possesses an unmatched passion and commitment to the Kennebec Estuary in Maine. She received a Maine visionary award for her efforts to turn the Kennebec Estuary Land Trust into a leader in fisheries restoration, clam flat openings, and many other coastal and land preservation programs. The Kennebec Estuary, like many diverse habitats, has numerous organizations vying to preserve it. Kinne’s tireless efforts leveraged various organizations into a strong regional lobby, helping the Kennebec Estuary gain important political prestige. She will speak to politicians, scientists, clammers, bureaucrats—anyone who might be able to help her improve the estuary. She treats everyone equally, and her commitment to you on a personal level inspires commitment on a program level. Kinne is devoted to sharing her knowledge with a younger generation. Many of the grants her organization receives are managed by young people, overseen by her, who produce measurable results. She teaches her staff to respect money, actively do on the ground what you propose on paper, and work with as much passion as you feel. She gets things done and puts her grant money to good use. Maureen Thomas, Conservation Department of the Town of Kingston and Joseph Grady, Conservation Commission of the Town of Duxbury received Massachusetts Visionary Awards for their collaborative work on many successful stormwater management projects over the past years. As conservation agents for their towns, they have worked tirelessly to eliminate non-point source pollution to Kingston and Duxbury Bays which form part of the Plymouth/ Duxbury/Kingston Bays complex within the Gulf of Maine watershed. Their close collaboration has enabled them to work towards achieving the goals of improving water quality and reopening and reclassifying shellfish beds. Both bays have productive shellfish beds as well as successful oyster aquaculture, most prominently Island Creek Oysters of Duxbury. Grady has been successful in securing major grants for stormwater remediation work for nine of the last 10 years. His team developed a stormwater assessment approach that now serves as a model for coastal communities in Massachusetts and has resulted in the cleanup of an intensely developed section of Duxbury. Thomas is leading a similar effort in Kingston to address stormwater discharges in Kingston Bay, using the model developed in Duxbury. Last summer she could be glimpsed, often in her kayak, braving the elements as she collected samples in the aftermath of storms and heavy rains. As a result the town of Kingston is now taking steps to implement best management practices (BMPs) and reduce discharges to Kingston Bay. Thomas has also been on the leading edge of climate change adaptation planning efforts in the region, and is a member of the Massachusetts Bays Program Management Committee. Kerry Mackin, of the Ipswich River Watershed Association received a Massachusetts visionary award for her two decades of work as an inexorable champion for river protection and restoration. As Executive Director of the Ipswich River Watershed Association (IRWA) from 1993 to 2012, She was instrumental in transforming IRWA into a state leader in river protection from flow depletion, drawing national attention to the plight of the Ipswich River watershed. As a result in 2003, the Ipswich was placed on American Rivers’ endangered rivers list. Mackin’s strong political acumen and tireless advocacy have raised awareness of low-flow threats to rivers nationwide, and driven regulators and watershed communities to adopt conservation strategies to restore healthy streamflows. 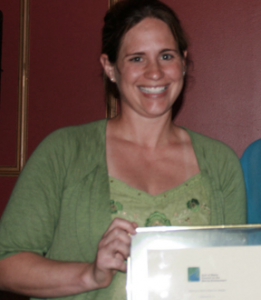 In 2007, Mackin was awarded a River Hero Award by River Network for her work on watershed protection. In 2011, under her direction, the IRWA expanded beyond its watershed and launched the Parker-Ipswich-Essex Rivers Restoration Partnership which focuses on habitat restoration and streamflow protection for three neighboring watersheds and the Great Marsh, an area encompassing 20,000 acres from Gloucester to Salisbury. Mackin is the past president of the Massachusetts Watershed Coalition, as well as founder of the Ipswich River Task Force/Watershed Management Council and Massachusetts Instream Flow Task Force. Nancy MacKinnon, of Sackville, received a New Brunswick visionary award in recognition of her leadership in youth education and development of a working model program that may be emulated by others. MacKinnon’s special ability is that she understands and applies the principles of direct hands-on, place-based education to the many youth with whom she interacts during the year and is a leader in this special type of interactive education. She has made the “kids teaching kids” philosophy a reality at all education levels. Her “Wethead” teams of Gulf of Maine Institute youths are fully engaged in activities intended to increase the knowledge base of wetland systems and developing techniques to bring their knowledge at the appropriate level to younger students in the “kids teaching kids” programs of the Tantramar Centre of Excellence facility. As a result of MacKinnon’s work the Sackville community and region has gained greater appreciation of its wetlands. Her team graduates are now young adults participating in local projects, and thousands of youth have become excited about their hands-on educational experiences. Dr. Jessie L. Davies has been an outstanding champion of sustainable approaches to development and environmental management. She was presented with a New Brunswick visionary award for her integrated approach, weaving her understanding of environmental systems with her convictions and dedication to community service. Her tireless activity on behalf of the health of the Gulf of Maine, in particular the Bay of Fundy and its coastal communities, has included her work as Co-Chair of the Southwest New Brunswick Marine Resource Planning Steering Committee, Co-Chair of Save Passamaquoddy Bay Canada, and as Co-Chair of the Coastal Lands Campaign for the Nature Trust of New Brunswick. Her list of accomplishments on behalf of the Bay of Fundy and as part of the Nature Trust of New Brunswick includes championing the protection in perpetuity of 70 acres of Navy Island and 175 acres of land adjacent to the Caughey Taylor Preserve; both preserves are in southwest New Brunswick, along the Bay of Fundy. As well as being an honorary trustee and past president of the Nature Trust of New Brunswick, Davies has been a member of the Green Action Committee of Saint Andrews; director, vice-chair and board member of the Huntsman Marine Science Centre; a member of the Global Plan of Action for the Gulf of Maine, a member of the Steering Committee organizing the Summit of the Gulf of Maine, and a member of the International Joint Commission for the St. Croix Watershed. Through this work, and as director of the Environment and Sustainable Development Research Centre of the University of New Brunswick, Davies has guided many students and others who worked with her in sustainable environmental management principles. 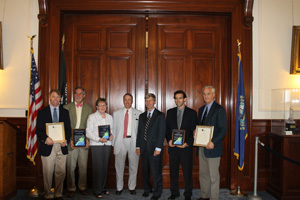 New Hampshire recipients of Gulf of Maine Council on the Marine Environment awards were celebrated at a New Hampshire Governor and Executive Council meeting. From left: Ted Diers, former Working Group Chair, Distinguished Service Award recipient; David Burdick, Susan Snow-Cotter Award recipient; Ann Smith, Visionary Award recipient; Thomas S. Burack, Commissioner, NH Department of Environmental Services; Governor John H. Lynch; Stephen C. Landry, Visionary Award recipient; and Peter Lamb, former Councillor, Distinguished Service Award recipient. Stephen C. Landry received a New Hampshire visionary award for his work as Merrimack Watershed Supervisor at the New Hampshire Department of Environmental Services as well as his numerous volunteer efforts. Steve has shown the utmost dedication to the protection and restoration of New Hampshire waters. He has a unique ability to consistently collaborate with, empower, and recognize project partners and associates. He persevered for more than seven years to make the ground-breaking Maxwell Pond Dam removal project possible. He carefully follows the Gulf of Maine Council’s restoration monitoring protocols to assure there is scientific documentation of the results. American Rivers chose the project as one of three that it included in its film documentary. At Crystal Lake, Landry led the effort to install the system to address chronic pollution problems. In an era when detention ponds were the only management practice options, he had the vision to try something more innovative. As a result, both waterbodies were recognized by EPA as a success story for restoring significantly impaired waters. Landry mobilized resources and partners to construct a $500,000 restoration project on the Pemigewasset river avulsion, the largest NH has ever undertaken as well as a project on the Suncook River that is significant on a geologic time scale. He led the effort to garner a $2.5 million capital budget appropriation during one of the worst state budget years on record. He is vice-chair of the Upper Merrimack River Local Advisory Committee. His volunteer work includes a massive volunteer water quality monitoring effort since 1995 with over a hundred field and laboratory volunteers, providing much needed data for municipalities and state and federal agencies. Ann Smith is a retired grade school teacher who was awarded a New Hampshire visionary award for her tireless work to connect her students and citizens of Portsmouth to the environment by engaging them in environmental stewardship activities. Ann was the President of the Advocates for the North Mill Pond from 2005-2011 and held the organization in numerous community stewardship and educational activities. She serves on the Hodgson Brook Restoration Project Advisory Board, was a volunteer with the Gundalow Project, and is a local leader in international environmental exchange through the Portsmouth Severodvinsk Project. During her career as a teacher and after retirement, Ann led the effort to erect the interpretive sign at the mouth of the Hodgson Brook, organized and directed the students of the New Franklin School in water quality monitoring and a watershed survey, in planting more 7000 ribbed mussels in the NMP, planting saltmarsh grasses and high marsh plants, buffer restoration projects, and a salt marsh restoration project from design through implementation. Through her work, students have learned about foodwebs, filter feeders, saltmarsh ecosystems, and how to be good stewards of the tidal estuary restoring the damaged ecosystem in the salt marsh that borders NMP. Ann also held the ANMP in their efforts to help neighborhoods improve stormwater management and solve local stormwater issues. Ann has worked hard to improve the quality of life for others. Smith has worked to solve environmental issues in the Gulf of Maine for decades. Tony M. Bowron and Nancy C. Neatt received Nova Scotia visionary awards for their work with CB Wetland and Environmental Specialists. They were rewarded for their dedication and commitment to saltmarsh restoration in the Gulf of Maine Watershed, continued promotion of the Gulf of Maine Saltmarsh Restoration Guide and commitment to provide recommendations for continuous improvement of best management practices. With a combined 37 years’ experience, CB Wetland and Environmental Specialists utilize some of the most innovative and successful salt marsh restoration techniques that are happening anywhere in the world. Through a dedicated partnership between CBWES and St. Mary’s University, this group of individuals has raised the bar for saltmarsh restoration work in the Atlantic region. Another Nova Scotia visionary award went to Roger Outhouse, in recognition of his special contributions to his community and the environmental work done by his Gulf of Maine Institute youth team. His special ability is that he has a vision that is inclusive of cultural, social, environmental, and educational forces, and he is able to bring these interests together to meet a common goal serving the Gulf of Maine bioregion. Outhouse taught for many years at the Digby/Islands school where he was a key faculty member. After retirement, he placed his efforts into taking his interests in youth education, creating an interpretive Discovery Centre in Freeport, and tourism. He made all these elements work together in the service of the environment, economy, and community enhancement. His Gulf of Maine Institute youths are fully engaged in environmental action and education projects. They have worked closely with the Discovery Centre building trails and overlooks to the Loyalist Settlement site, creating and maintaining interpretive signs around Northeast Cove and the Balancing Rock Trail, bringing awareness of climate change to their fellow school mates, giving community presentations on local issues. The have also been involved in many clean-up and restoration projects and proposals. As a result of this comprehensive approach the community as a whole has gained greater awareness of its environment. The Gulf of Maine Institute graduates are now young adults participating in local projects, and tourism has flourished as a result of their efforts. Outhouse’s multifaceted approach has provided a model that can be emulated by others in our international Gulf of Maine community. Nine people retiring from their jobs connected to the Gulf of Maine Council on the Marine Environment were presented with Distinguished Service Awards for their dedication and commitment to marine environmental quality and sustainable resource use in the Gulf of Maine. The recipients’ cooperative spirit and tireless efforts as a member of the Gulf of Maine Council were instrumental in protecting the Gulf’s resources. Working cooperatively with colleagues throughout the region they have helped to create an international conservation legacy. The Distinguished Service Awards went to: Paul Boudreau, Department of Fisheries and Oceans; Ted Diers, NH Department of Environmental Services; Diane Gould, US Environmental Protection Agency; Anita Hamilton, Department of Fisheries and Oceans; Liz Hertz, ME State Planning Office; Peter Lamb, retired, New Hampshire Charitable Foundation; Lorraine Lessard, Maine Coastal Program, ME State Planning Office; Jane Tims, NB Department of Environment and Local Government and Jay Walmsley, Department of Fisheries and Oceans. The council presents this award to a professional who has demonstrated exceptional leadership in coastal and ocean planning and management by developing both pragmatic approaches, building collaborative efforts through mobilizing and unifying others around an issue or initiative and/or serving as a strong and supportive mentor to emerging coastal management professionals. The award is bestowed in memory of Susan Snow-Cotter, a long-time friend of the council and Working Group. The award is given to an individual from one of the five states and provinces bordering the Gulf of Maine. The Susan Snow-Cotter Leadership Award honors those coastal management professionals who exemplify outstanding leadership or exceptional mentoring in the Gulf of Maine watershed. As former Director of the Massachusetts Office of Coastal Zone Management, Susan was recognized as a leader who exhibited unwavering passion, enthusiasm, and insight to develop pragmatic approaches to coastal management challenges. Dr. David M. Burdick was chosen to receive the award because he has involved public school students and college level students in cooperative efforts centered on the restoration of tidal estuary ecosystems for the past 14 years. Each year he and his college students visit teachers and students in the Portsmouth School System. Together, they develop a plan for a specific restoration project with the public school students participating at all stages of the planning and execution of the project. His goal, in addition to the restoration itself, is to instill in these students a sense of stewardship for the environment. Dr. Burdick’s mentoring style also affords his college students the opportunities to gain experience in mentoring the younger students. By having students at the elementary level through high school level working with his college level students, his projects are effectively training the next two generations of wetland scientists. He has been an active participant and mentor for two local environmental groups: the Advocates for the North Mill Pond and the Hodgson Brook Advisory Board. He works with city, state, and federal agencies in his design and implementation of these restorations. The changes resulting from these cooperative efforts are visibly apparent in the Portsmouth tidal wetlands. Early participants in Dr. Burdick’s projects are able to view the wetlands with pride knowing that their efforts and stewardship have made a lasting impact. The Longard Gulf Volunteer Award is bestowed each year in memory of Art Longard, a founding member of the Gulf of Maine Council on the Marine Environment and long-time Working Group member. The award is given to an individual from one of the five states and provinces bordering the Gulf of Maine. The Award recognizes individual commitment to volunteer programs dedicated to environmental protection and sustainability of natural resources within the marine, near shore, and watershed environments of the Gulf of Maine.John Archibaldis the volunteer chosen for the Longard Award because of his long history with Ducks Unlimited Canada. It started in 1981 when he became a founding Fredericton Committee volunteer serving in various capacities, including chair, for a number of years. John has served as Provincial Council Chair for several years, starting in the early 1990s and subsequently as a member of the board of directors of Ducks Unlimited Canada. He stepped down in the early 2000s from the board and was recommended for Director Emeritus.Archibald also served as Chair for the Fredericton Conservation Centre Fund Raising Committee. He is now director emeritus for the board of directors. His most enduring contribution is Ducks Unlimited’s Wetlands Education Program that he has coordinated since its inception in 1996 when the Conservation Centre was built in Fredericton. Archibald is continuously drumming up support for this program by secure funding, enlisting schools to offer the program, and finding local sponsors for resources required by the school programs. His leadership has made Ducks Unlimited Canada a leader in wetlands conservation education and brought water and wetland conservation into the collective consciousness of Canadians. One of the main outcomes of the New Brunswick Wetlands Conservation Policy is to deliver wetland education to the public and foster a sense of stewardship for wetlands. Through Archibald’s hard work New Brunswick can lay claim to having achieved this policy objective. The Gulf of Maine Industry Award is made annually to an individual, company, or organization within the Gulf of Maine region: Massachusetts, New Hampshire, Maine, New Brunswick, and Nova Scotia. The Award recognizes demonstrated innovation and leadership in efforts to improve the well-being of the Gulf of Maine ecosystem and the communities that call it home. 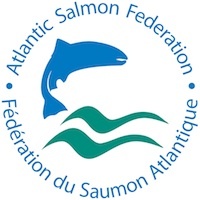 Nominations were sought from the tourism; commercial and recreational fisheries; aquaculture; renewable energy generation; and transportation sectors.The 2012 Industry Award Connors Brothers, Ltd.: Recently, Connors Bros. Clover Leaf Seafood Company transferred ownership of Southern Wolf Island in southwestern New Brunswick to the Nature Trust of New Brunswick. This Island is part of the Wolves archipelago, located in the Bay of Fundy, and was identified during the Southwest New Brunswick Marine Resources Planning Initiative as an environmentally important area, worthy of further study and protection. Connors Bros. Clover Leaf Seafood has been a significant part of the community of Black’s Harbour and the Bay of Fundy for more than 100 years. The donation of this important Island to the Nature Trust is further evidence of their commitment to community health and the sustainability of the Gulf of Maine. Southern Wolf Island is located about ten kilometers from Black’s Harbour. The island has international significance and is a priority area for land conservation under the Eastern Habitat Joint Venture. The island provides important habitat for seabirds including the endangered harlequin duck. The generosity of Connors Bros. Clover Leaf Seafood Company will enable the Nature Trust to protect the sensitive ecology of the Island in perpetuity through conservation and stewardship. In donating the Island, the company has demonstrated their corporate and community leadership as well as their dedication to environmental action. Builds on the characteristics of ecosystems in the development and nurturing of healthy and sustainable communities. Enables continual improvement, based on action planning, accountability, transparency and good governance. Scituate Water Division, Department of Public Works, Town of Scituate, Massachusetts. As part of an effort to restore herring in the First Herring Brook, the Town of Scituate Water Division with support from the North and South Rivers Watershed Association (NSRWA), state agencies, and other partners explored various options for restoring streamflow to this waterway while finding a sustainable way to provide for the town’s water needs. Most of the town’s water supply comes from the First Herring Brook watershed with changes in streamflow and fish ladder operation the main factors contributing to the lack of herring. They are challenged with low flows when the juveniles return to the Gulf of Maine. In 2011, a one-day-a-week lawn irrigation system restriction was implemented, saving the town approximately 300,000 gallons/day. This initiative provided other benefits including savings in electricity and reduction of chemicals used for water treatment and provided the town with a buffer during Tropical Storm Irene when a seven-day power outage prevented the pumping of groundwater. The town’s water demand could still be met from the surface water storage they had gathered over the summer. The Scituate Water Division has provided fish ladder flows and ecologically appropriate streamflows, and has worked with partners to support continuous data logging of flows in the stream. As a result, Massachusetts Division of Marine Fisheries is working with the town to evaluate the potential for additional fish passage improvements at the system’s two impoundments. The hope of seeing herring again in the First Herring Brook is slowly becoming a reality.